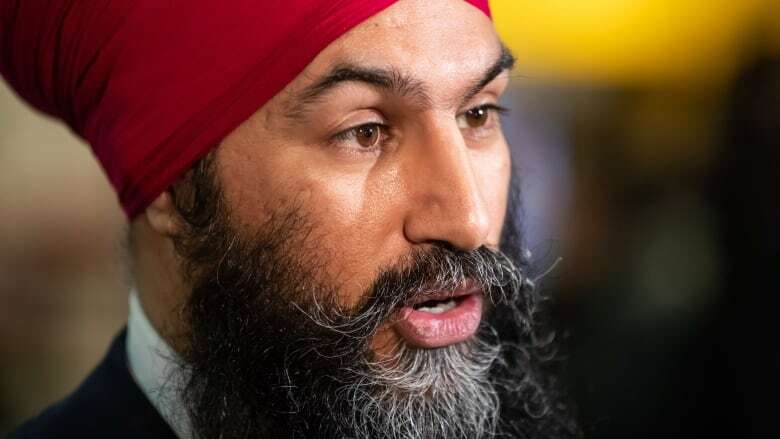 Federal NDP Leader Jagmeet Singh says he's leaving the door open for Jane Philpott and Jody Wilson-Raybould to join his party. The former treasury board president and former attorney general were kicked out of the Liberal caucus because of their roles in the SNC-Lavalin affair. They had both previously quit cabinet citing a loss of confidence in the government's handling of the matter. They now sit as independent MPs. "I've not done anything and never indicated any proactive steps to be taken but I am open to any conversations," Singh told Chris Hall on The House. He's not openly courting them, and says they'd be assessed like any other candidate. "I would assess anyone's fitness in terms of our values and what we're trying to do and what we're trying to bring in for Canadians." Green Party Leader Elizabeth May also said she'd be happy to have either of them in her party. Talk of the two women also came up at the Daughters of the Vote event on Parliament Hill this week, where 338 young women took over the House of Commons as part of a specially organized event. Several walked out of the Commons during Conservative Leader Andrew Scheer's speech. Others turned their backs on the prime minister during his remarks. In both cases, the women said it was to protest certain policies or actions from the leaders. Singh, as well as May, were both fairly well received by the group. The NDP leader says the protests by the women were total within reason. "I think we need to build a space in every forum that we can where people can can express their dissatisfaction, their dissent," he said. "There needs to be a space that's available for people to be able to express that." The federal environment minister says the Conservatives aren't a viable choice because of their climate policy, while her own government faces criticism for its own work. In an interview with The House, Catherine McKenna called out Conservative governments across the country for being soft on environmental policy. "We have more to do and we will be putting out that out in our platform," she said while casting the issue forward to the fall election. When challenged that her government could be doing more, and that other parties are proposing more robust measures, she countered that their plans aren't concrete yet. "We haven't really seen those plans. And I'd like to see them because I think Canadians need to understand what is this transition," she said. "[The Conservatives] want to do less and less." The battle over what to do for the environment in this country rages on, as a new federal report, called Canada's Changing Climate Report, found Canada is warming at twice the rate of the rest of the world. Another new study by federal Environment Commissioner Judy Gelfand says the Trudeau government isn't doing nearly enough on climate change. The reports come as the Liberals much-awaited carbon tax plan kicked in this week in Manitoba, Saskatchewan, Ontario and New Brunswick — to mixed reviews. Manitoba finally decided it will be going to court to challenge the federal government's imposition of a carbon tax in the province. Ontario and Saskatchewan already have court challenges underway. McKenna scoffed at that decision from Premier Brian Pallister. "He had a price on carbon and then he backed off it. It's just very confusing for people including people in Manitoba. He had a price and we had it accepted it. And so one day he just decided he was going to walk away from that bit," she said. "We are not very well prepared," he said. 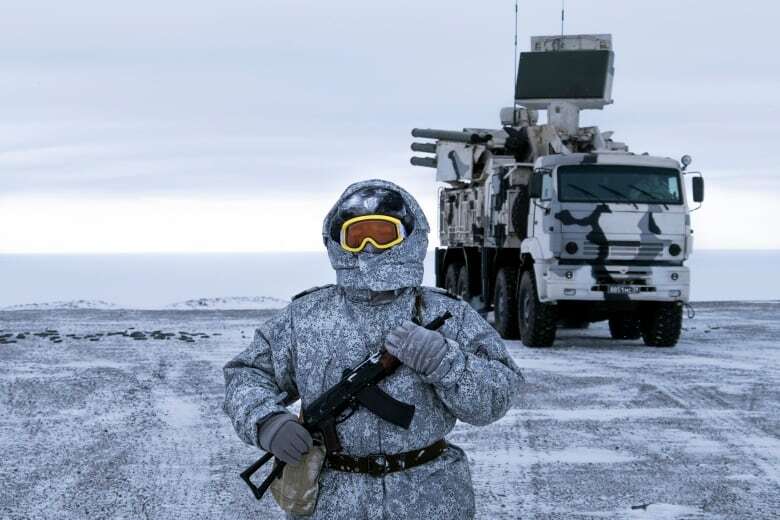 "There is a very dramatic buildup of Russian military capability right across the top end of Russia, starting with Norway, working right across, right through to Alaska," McKay said Friday in an interview with Chris Hall airing today on CBC Radio's The House. Russia isn't the only country expanding its command of the north as climate change opens access to resources and shipping lanes. The U.S., Canada, Denmark and Norway are all nudging their way into the polar region as well. The speed of Russia's expansion is making other nations nervous. Last month, the American commander of NORAD called on U.S. and Canadian policy makers to think about whether they're doing enough to counter Russian threats in the far North. "We haven't seen this sort of systematic and methodical increase in threats since the height of the Cold War," Air Force Gen. Terrence O'Shaughnessy told the group. McKay shares those concerns. "It's not just simply the presence of significant numbers of troops but it's also missiles, and ships, and ballistic missiles, and low altitude cruise missiles," he said.